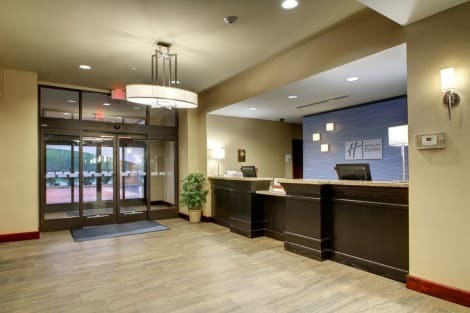 Located in Natchez, Days Inn by Wyndham Natchez is within a 10-minute drive of Longwood and Natchez National Historical Park. This hotel is 2.5 mi (4.1 km) from Melrose and 2.8 mi (4.5 km) from Auburn Museum & Historic Home. Don't miss out on recreational opportunities including an outdoor pool and a 24-hour fitness center. This hotel also features complimentary wireless Internet access, gift shops/newsstands, and a fireplace in the lobby. 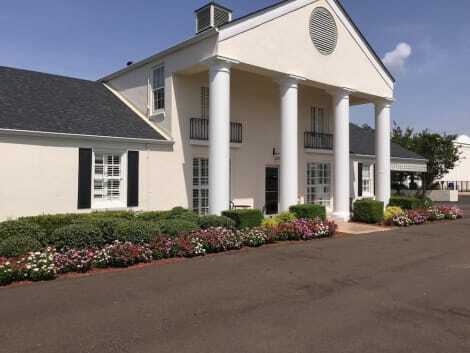 With a stay at Magnolia Bluffs Casino Hotel, BW Premier Collection in Natchez, you'll be in the historical district, just a 4-minute walk from Rosalie Mansion and 6 minutes by foot from Natchez Visitor Reception Center. This hotel is 0.4 mi (0.7 km) from William Johnson House Museum and 0.5 mi (0.7 km) from Magnolia Hall. With a stay at Holiday Inn Express Hotel & Suites Natchez South in Natchez, you'll be within a 10-minute walk of Rosalie Mansion and Natchez Visitor Reception Center. This hotel is 0.4 mi (0.7 km) from William Johnson House Museum and 0.5 mi (0.8 km) from Magnolia Hall. Take advantage of recreation opportunities such as an outdoor pool or take in the view from a terrace and a garden. This Colonial bed & breakfast also features complimentary wireless Internet access, wedding services, and a picnic area. Situated on the Mississippi River shore, Hotel Vue boasts an outdoor pool. Guest can also take a tour of the Old South Winery 5 km away. All guest rooms feature a cable TV, microwave, and small refrigerator. Access to free property-wide WiFi is available to guests throughout their stay. The Natchez Vue Hotel offers free on-site parking for added convenience. The shops and Antebellum homes of historic Central Natchez are 1.5 km from the property. The Bayou Cocodrie National Wildlife Refuge is 22.5 km away. lastminute.com has a fantastic range of hotels in Natchez, with everything from cheap hotels to luxurious five star accommodation available. We like to live up to our last minute name so remember you can book any one of our excellent Natchez hotels up until midnight and stay the same night.